One of the most reasons why Android enthusiasts keep sticking to Android is its relative flexibility and vibrant developer/hacker community. While wireless carriers try to ensure a controlled user experience, talented folks from forums like XDA-Developers, Rootzwiki etc. keep coming up with ways to set Android devices free from the shackles of these wireless carriers. This setting free is called “rooting” and what comes after rooting is what makes Android… Android. You can change every single aspect of the software on your device to make it look and work just the way you want it. Of course, to do this yourself you need some pretty l33t hacking skills, but thanks to a newly released app called Omega Files Kitchen, you can customize and “cook” your own ROM. Check it out after the break. The app has been developed by ::indie:: – a recognized Android developer/hacker over on XDA-Developers. They made this app for their Omega series of custom ROMs but are releasing it to the general public so they can customize their own ROMs. 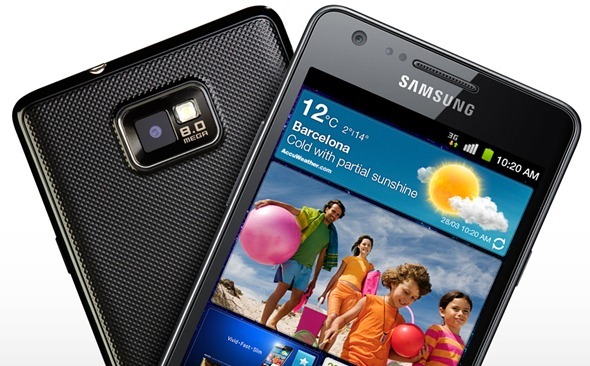 Note that is for the Samsung Galaxy S II only at the moment; support for more devices may be included in the future. Omega Files Kitchen lets you customize every aspect of your Galaxy S II, from the animations to battery mods, kernels, modem, dialer and launcher to name a few. Kitchen application – Customize your rom! In Omega Files Kitchen you will find everything you need to build and customize your rom the way you like it. 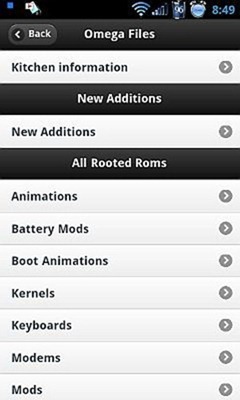 We’ve tested the app on a rooted Samsung Galaxy S II on Android 2.3 Gingerbread and can confirm that it works as advertised. Since it is a very powerful root-only app, we highly suggest you take a nandroid backup before messing with anything. This backup will come super-handy if something goes wrong. 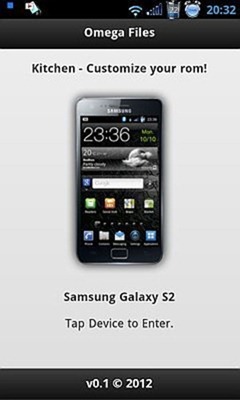 Omega Files Kitchen is a free app for rooted Samsung Galaxy S II devices. You can download it from the link embedded below. Be sure to let us know what you think of App Timer in the comments section over on our Facebook and Google+ page.